BURGLE - Burglaries will enable you to steal money from the till of the building you're in. STEAL - Robberies allow you to steal money from people around you at this location. Note: If a sheriff or a deputy is on the lookout, there's a chance you'll end up in prison. You can go prison for various reasons like failed burglary/robbery attempts, or when caught by sheriffs looking for bounties(if there was one placed for you). You may also find yourself in prison for begging for money and food unnecessarily in the church. You will lose 1 RP for going into prison. 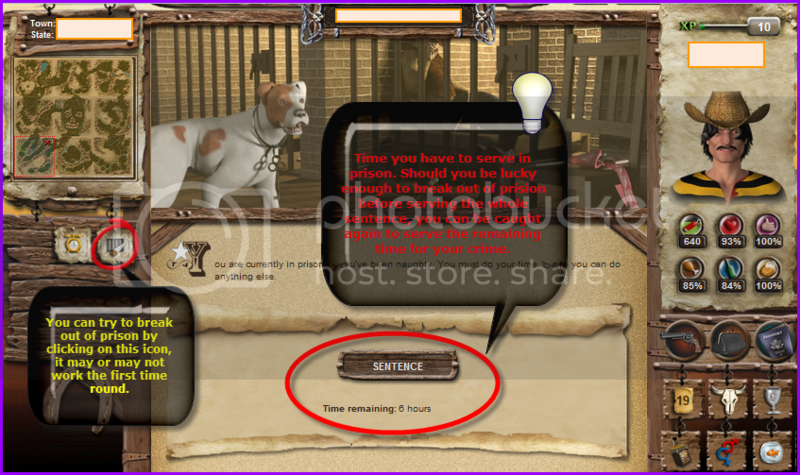 If you are imprisoned , you have the option to escape, but it requires 200 points of your energy. However, the prison warden is a nice dude and offers you the option of sleeping to regain some energy. 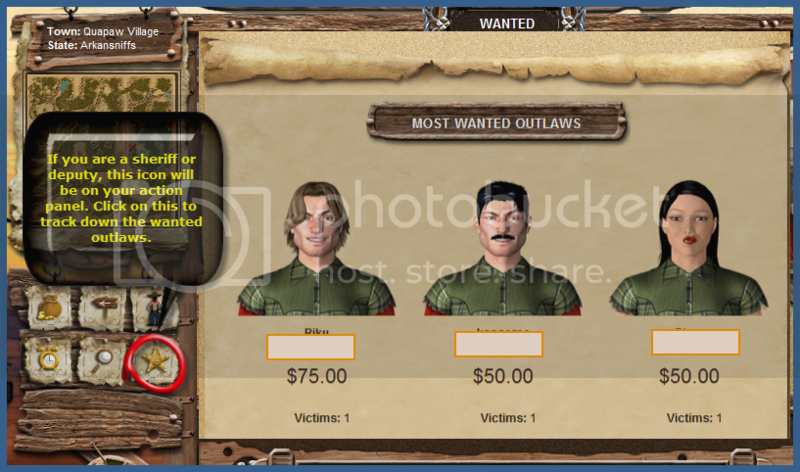 Sheriffs and deputy sheriffs are able to use this option to catch thieves which are put on bounty and place them in prison. 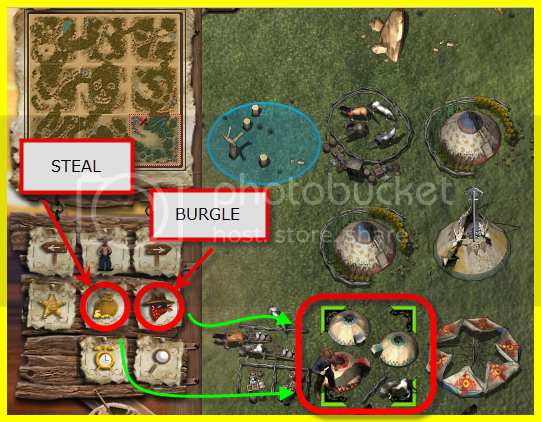 If they are at a location where a robbery is taking place, they may catch the robber automatically, if the sheriff building has the required upgrade unlocked. Last edited by nogarey on Sun Aug 14, 2011 6:17 pm, edited 4 times in total.